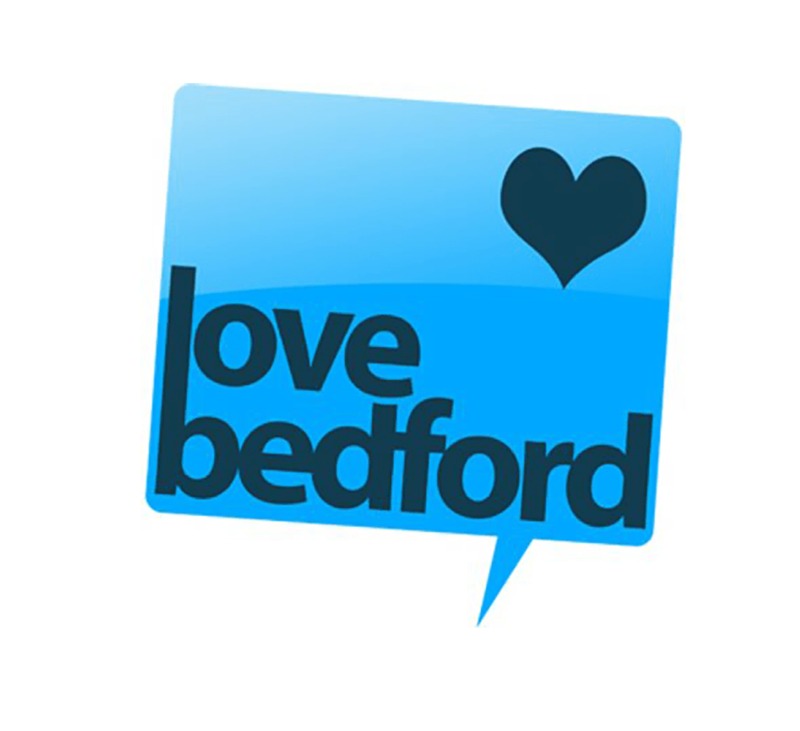 LOVE Bedford is the promotional brand for Bedford BID, Bedford's Business Improvement District, which is funded by over 500 town centre levy-paying businesses with the aim of providing a fun and safe environment for our customers to keep them coming back for more. Bedford was one of the first 12 towns to pilot a BID in 2005 and supports and sponsors projects which benefit levy-paying businesses in the town centre. The BID invests over £2.5 million over five years to keep up and improve footfall, sales and values in the town centre, reduce business costs and simply make Bedford a better place to do business. In every town, customer experience is key, when it comes to visitor delight and retention. At Bedford it is recognised that the experience is influenced by the aesthetics and the behaviour of business owners and their teams. Bedford BID feel they have done a good job enhancing the environment and making it as customer friendly as possible. However, as a town with a number of independent businesses they believed that, to add further value, analysis of the one to one service experience, delivered by the businesses and their own team would be advantageous. To help with this, Graham Hill, insight6 Customer Experience Director for Buckinghamshire and Bedfordshire, visited. Graham’s local knowledge and experience working in a senior retail role in a high street brand meant that he understood the values Bedford BID aspired to and allowed him to emphasise with the retailers and their challenges. A short session was organised, giving retailers the opportunity to hear Graham talk about what is vital to have a successful Christmas. This was very well received and gave the retailers an insight to the changes they could make to generate more profit during this business period. A decision was made to conduct a Customer Experience Review programme across the town as Bedford BID realised that it is only when you hold the mirror up, so that the businesses can look at themselves objectively, can they become empowered to make the real changes necessary in their business. Retailers were invited to participate in the insight assessment programme over a short period of time. Graham also spent 30 minutes with each business owner, taking them through their results face to face and giving them advice and practical tips on how they could use the results to improve their customer experience. Following the insight assessments, Graham ran a feedback event with all the retailers present. Using the information collected by the assessors, Graham was able to explain the things that were done well, what needed improving, and highlight and celebrate examples of great service. A competition was then held for the top winners of the insight assessments, with the winning business being awarded with a bottle of champagne and great PR in the local press. Engagement from businesses was strong, showing that there was an appetite for this type of training. 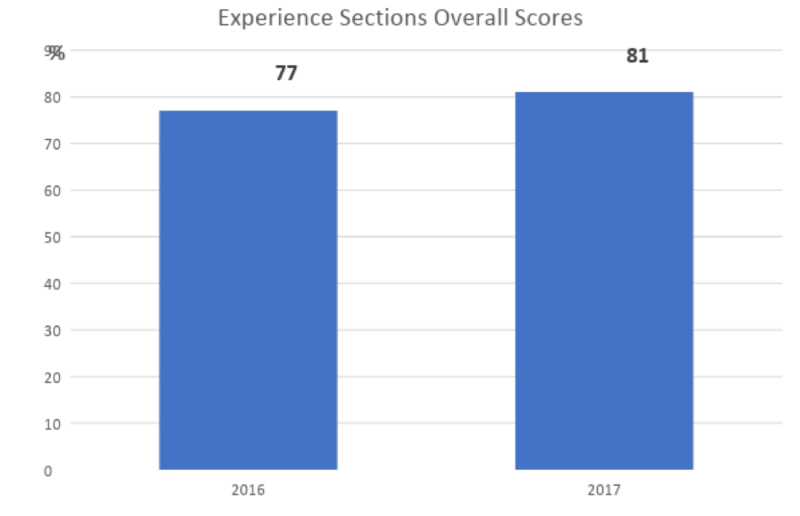 Overall, the average result across all the insight assessments was relatively strong at 77%, however there were numerous improvement opportunities identified. 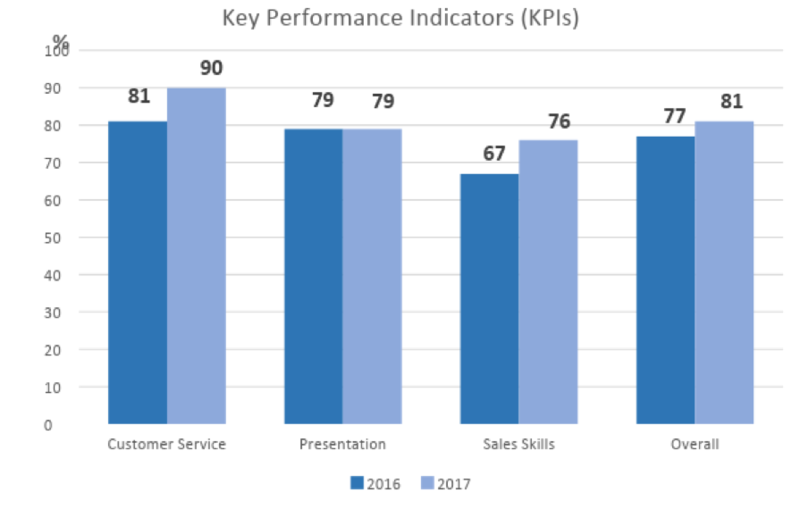 There were some amazing individual results, with the top performing retailer scoring 97%, and a further 4 businesses all delivering over 90%. However, the range in performance went from 97% at the top to the lowest performing outlet with 44% meaning the experiences in the town were inconsistent, showing there were improvements to be made so that visitors didn’t get such a hit or miss experience.